Our Facial Brush gently and effectively invigorates the delicate skin on the face, neck and décolleté, infusing each area with life-giving oxygen ions. Dry brush in a gentle, circular motion towards the hairline. Finish by cleansing and moisturizing with one of our Best Skin Evers. The Best Body Brushes Ever! Oxygen atoms make up over 80% of the human body, making oxygen the true elixir of life. We thrive on negatively-charged oxygen ions that are inhaled through the air, absorbed through our drinking water, and ingested in the concentrated form of hydrogen peroxide. Oxygen ions connect us with the earth. They are found in the coastline of a beautiful beach, the elegant rush of a waterfall, each droplet of rain and every sparkling snowflake. Oxygen ion levels are increased with air friction, which is created by dry-brushing the skin. Brushing also has massive benefits for the body’s circulatory and nervous systems. Quickly dip the brushes in boiling water and then set them out in the sun for a few hours to dry. Or, every few months, gently clean the brushes with a pure soap and rinse well. Then put them in the sun to dry. Avoid soaking your wood comb in water to avoid swelling and splitting. 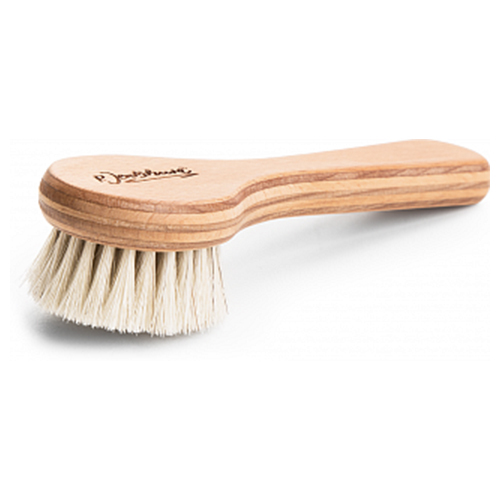 Jojoba and coconut oil are beautiful for cleaning and conditioning our wood combs. Apply a small amount of oil to a clean cloth and carefully run the cloth between each tine to remove debris. If there is build-up from hair products on the comb, use a retired toothbrush to gently scrub it away. For fine toothed combs, try using a piece of unwaxed dental floss between the tines to work out any debris. Using a soft, absorbent cloth, wipe away any remaining oil.